*(The price is inclusive of meals and accommodation). 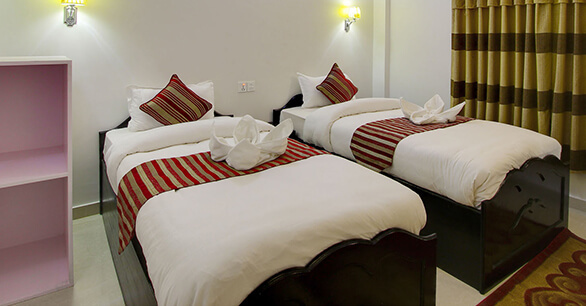 The accommodation can be booked at single and twin sharing basis. 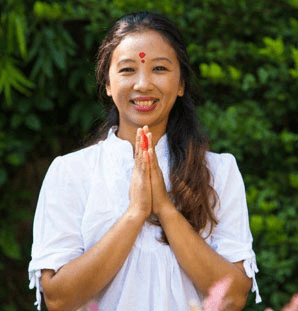 Soak in the beauty and tranquility of the ‘meditation capital’ to feel nurtured in the mind, body, and spirit during a Yoga retreat in Nepal at Rishikul Yogshala. Let the stunning and soulful assimilations of Nepal transport you into the inner landscape of true consciousness. 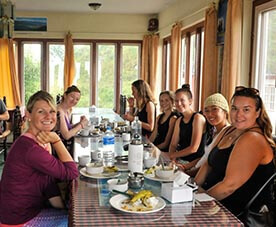 Seize the heavenly opportunity of being on a Yoga retreat Pokhara Nepal with us. 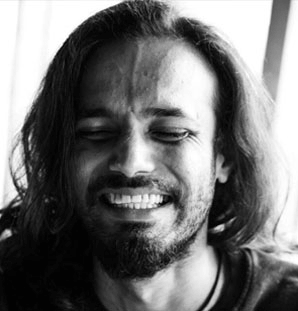 The land where the Gods and Rishis have found solace, a land where the Yogis attained enlightenment-- Nepal is truly sacred with a deep sense of spirituality and a humble heart. Beautiful Nepal is the blessed home (Lumbini) of Lord Buddha that is decked with dazzling temples, glorious stupas such as Pashupatinath temple, Boudhanath, and Swayambhunath. It is a place to reconnect with the mind and spirit. Streamlined with the hiking trails of Annapurna ranges, embellished with the azure of Tilicho Lake, blessed in abundance with rich flora and fauna, and adorning the historical place of Panch Pokhari--the destination of Nepal reverberates with spirituality and mesmeric vistas—a perfect destination to seek solace and be in Yoga with the Self. 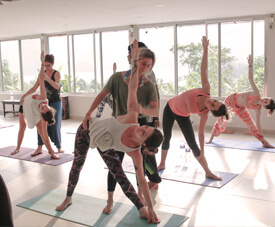 Our yoga retreat Nepal takes place in Pokhara-- a picturesque town on the banks of Phewa Lake with subtle charm and scenic beauty transforming every soul that visits this land, making it one of the most desirable locations for Yoga Nepal Retreat. Nourishing a rich history, ancient traditions, diverse culture-- Nepal enjoys a peaceful atmosphere due to the presence of holy places inviting the souls to experience immersive yoga and meditation lineage of Lord Buddha. 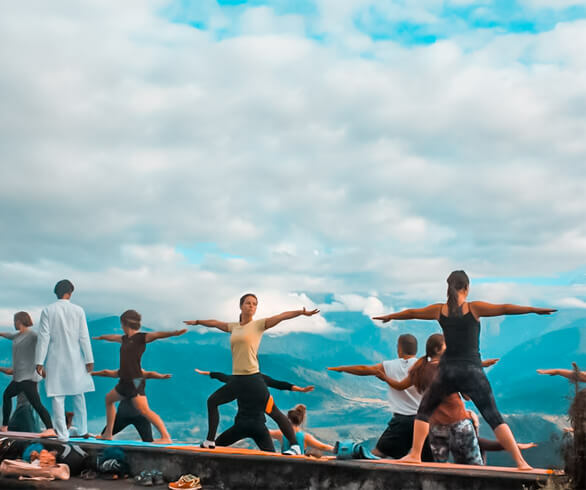 Enrich your yogic and spiritual practices in the tranquil mountain ranges of Nepal with a Yoga retreat in Pokhara Nepal at Rishikul Yogshala. 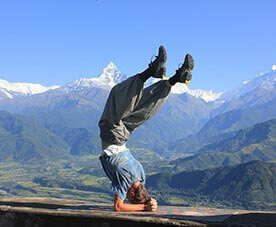 A holistic, rejuvenating, and relaxing package of Yoga vacations in Nepal waits. 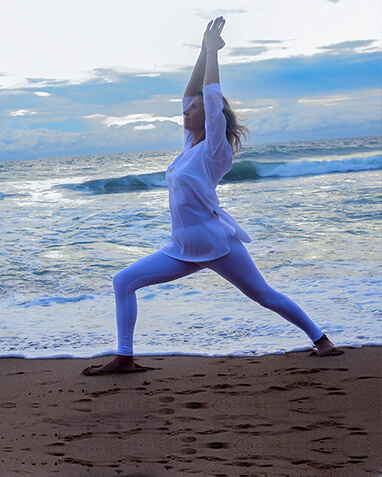 On offer are the traditional teachings of Hatha Yoga, Ashtanga Yoga, Pranayama, Laughter Yoga. Form bonds of friendship with like-minded entities and fellow participants. Spending a night on a full moon at Sarangkot Valley-- eminent for its enchanting beauty that is exceptionally magical on a full moon night. 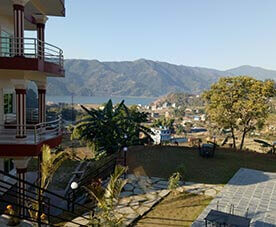 Our Yoga ashram Nepal is a modern paradise in the midst of Annapurna ranges and the spectacular Phewa Lake. 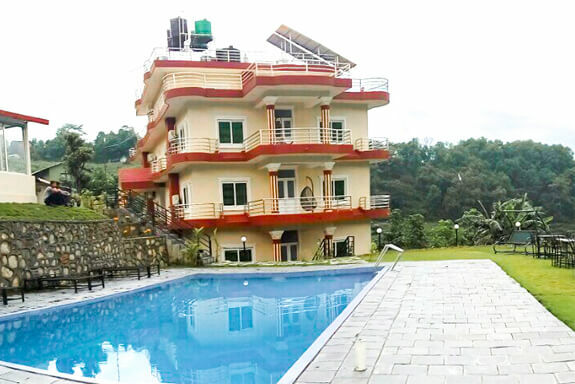 A resort-like dwelling with spotless rooms well furnished with wooden beds, wardrobes, coffee table-chairs, dressing table and facilitated with amenities like fan, light, TV, telephone, and private washrooms. The large windows of the rooms offer a panoramic view of the valley. 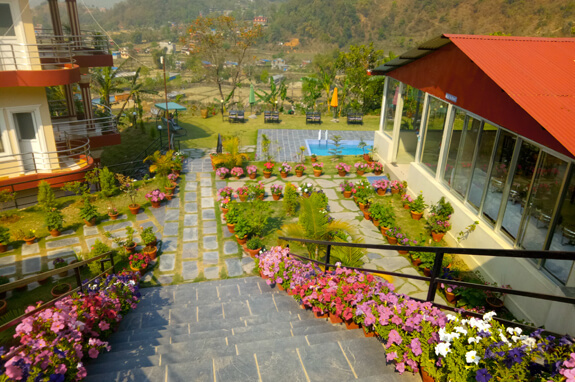 The resort is surrounded by lush greenery wherein the guests take leisurely strolls in the evenings. Certain rooms open to a guarded balcony for spending some lone recreational time. 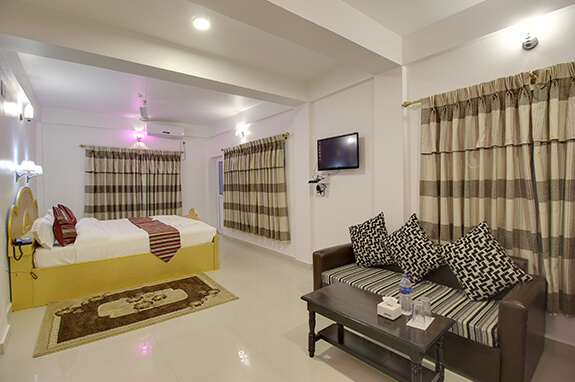 The abode is situated in a peaceful surrounding and is well-connected to the restaurants and the main city of Nepal ensuring a well-facilitated and rested stay. 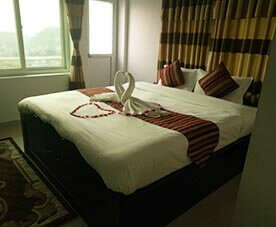 The rooms are available on both a single and sharing basis. Prices vary according to the room booked. The concept of diet at our program is of much significance. 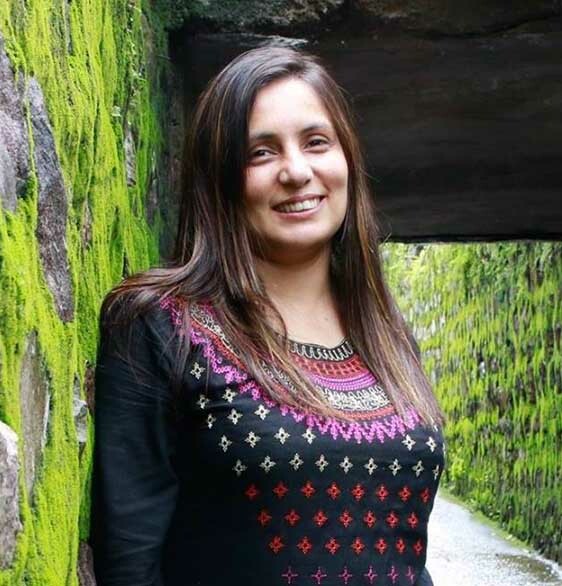 The program focuses on the consumption of food that is harmonious for nature as well the body-mind. A nourished body is essential for creating a healthy being. Therefore, we offer food that is organic and nutritious in nature. 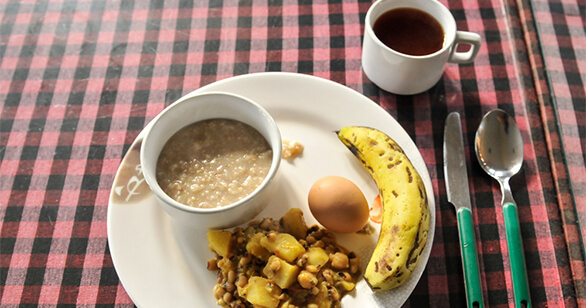 The food is freshly prepared by our professional cooks sourced from the fertile land during Yoga Pokhara Nepal. A plateful of succulent salads, fresh fruits, and guna-rich vegetarian dishes are served three times a day. Herbal drinks are also served along with the assortments as refreshing accompaniments. Through three balanced servings, our aim is to foster an optimal functioning and revitalization of the body and mind of our guests. We also provide pure vegan food facility on a prior notice and are more than elated to accommodate your request. Pick-up and Drop Facility from the nearby airport and railway junctions. 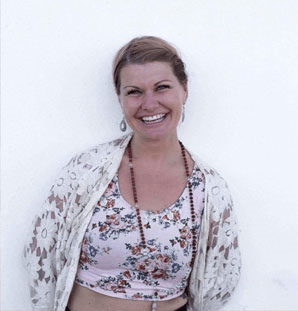 When to Enroll for the Yoga Program in Pokhara Nepal? The enthralling beauty of Nepal is perennial calling out visitors, yoga wanderers, travelers, and spiritualist to its lap. 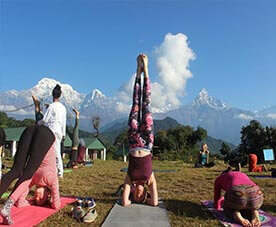 You can choose yoga retreat in Nepal as per your feasibility. Although, it is highly recommended that you check on the country’s seasons and go according to your preference. By Airways : The land of Nepal is internationally connected via the Tribhuvan airport at Kathmandu. Multiple flights from various destinations in India run to and from Kathmandu. Upon departure, you may either take a bus or hire a cab to Pokhara. By Road : If you are journeying to Pokhara by land from India then there are multiple entry points into Pokhara, Nepal. 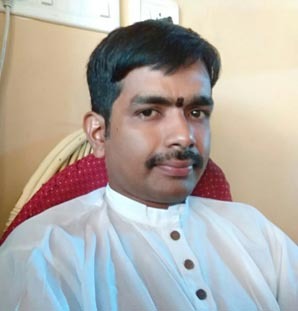 Some of them being: Kakarbhitta (West Bengal), Biratnagar (Bihar), Birgunj (Bihar), Sunauli, Nepalgunj, Dhanagadi, and Mahendranagar (across the border of Uttar Pradesh). Take a bus and reach the destination easily. 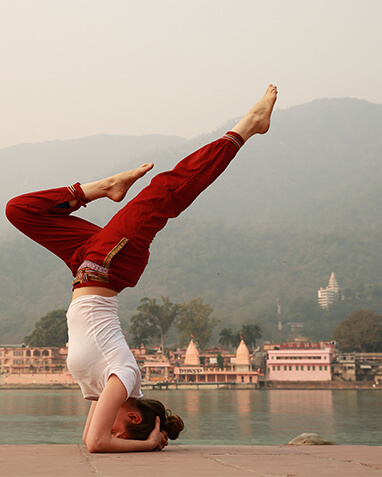 Let go of negativity and embrace positivity during yoga holidays in Nepal at Rishikul Yogshala.